Based on purchase price of $1,698.86 at 0% APR for 18 months. Excludes tax and shipping fees, to be calculated at checkout. Rates range from 0-30% APR. Choose from 6, 12, or 18 monthly payments. The Gefell UMT70S is a multi-pattern FET microphone that features the legendary M7 dual-membrane, gold evaporated capsule with a new, state-of-the-art low-noise capsule amplifier for exceptional transient response, wide bandwidth and a natural uncolored sound. 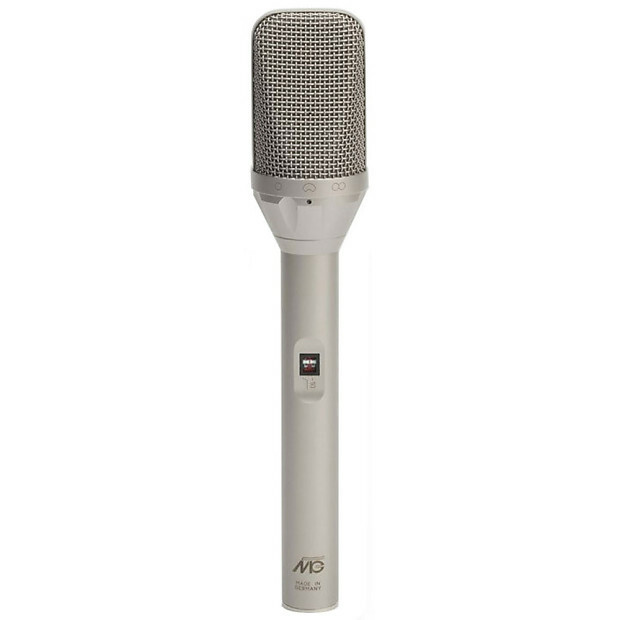 The ultra-slim design benefits the UMT70S with less acoustic field disruption around the microphone and greater placement ease when lose mic-ing instruments. The UMT70S is ideal for recording, broadcast, voice-over and live sound reinforcement. Three-pattern side-address condenser with dual large-diaphragm & gold evaporated membranes. Transformerless output stage for exceptional dynamics. Each pattern yields a slightly different frequency response curve: the omni adds extra air in the 10kHz region while the cardioid and figure-8 have a 7kHz presence lift for voice. Comes with deluxe wood case.